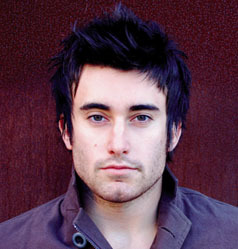 With the multi-faceted sound of a much older soul and shimmering melodies that match the intensity of his heartfelt lyrics, 21-year-old Phil Wickham’s self-titled debut can’t help but stand out in a crowd of cookie-cutter pop and angst-fueled rock. 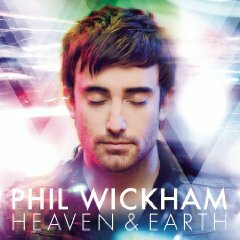 And it’s his personal journey of faith expressed in the songs that really makes the difference. Growing up in a devout Christian home, it was early in Phil's life when he realized his faith needed to become his own. He no longer wanted to coast on his parents’ coattails or go to church simply because that’s what he was supposed to do. He wanted something real, that personal friendship with Jesus. And that crucial realization, combined with moving to a new city while he was in junior high, paved the way for Phil to pick up a guitar and start writing songs about his growing faith. While difficult at times, the transition from Orange County to San Diego proved to be fruitful. “It was a good time of reflecting, writing songs and playing guitar.” And once he picked up that guitar, it wasn’t long before his junior high youth pastor took notice and asked him if he wanted to lead worship. “When I started leading worship when I was 12, the Lord just really started blessing it with the junior high group,” Phil says. 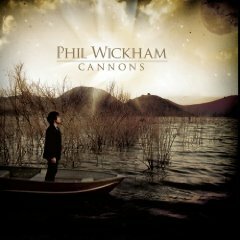 “Kids were singing, and I found that I really loved doing it.” Phil’s father, a worship leader and veteran of Jesus Movement bands including The Way and Parable, also encouraged his son’s emerging talent by challenging him to learn to play hundreds of popular praise songs and to write his own in the meantime. 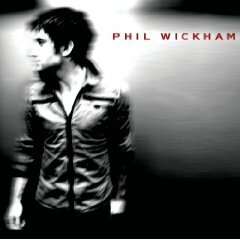 And that captivating voice expresses a wide spectrum of emotions on his Simple Records debut, from the atmospheric strains of “Grace” to the soaring guitar anthem, “Mystery,” Phil’s music shimmers with pop/rock sensibility, innovative melodies and a heart for worship, the very place where it all began.